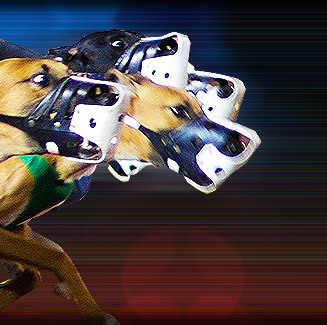 Jacksonville Kennel Club is one of three dog tracks owned and operated by Jacksonville Greyhound Racing, Inc.
Live greyhound racing is always a thrill at Jacksonville Kennel Club. Fans can enjoy the race action with a spectacular view from the Greyhound Club, or the fun and festive atmosphere of the roomy and air conditioned grandstand. Jacksonville Kennel Club's ultimate vantage point is the trackside, along the rail. There are also super-screen television monitors where instant replays and other information can be seen. Snack bars and cocktail lounges can be found throughout the facility for the convenience of race fans. Jacksonville Kennel Club is located at 4490 Southside Blvd. in Jacksonville, Florida, USA.